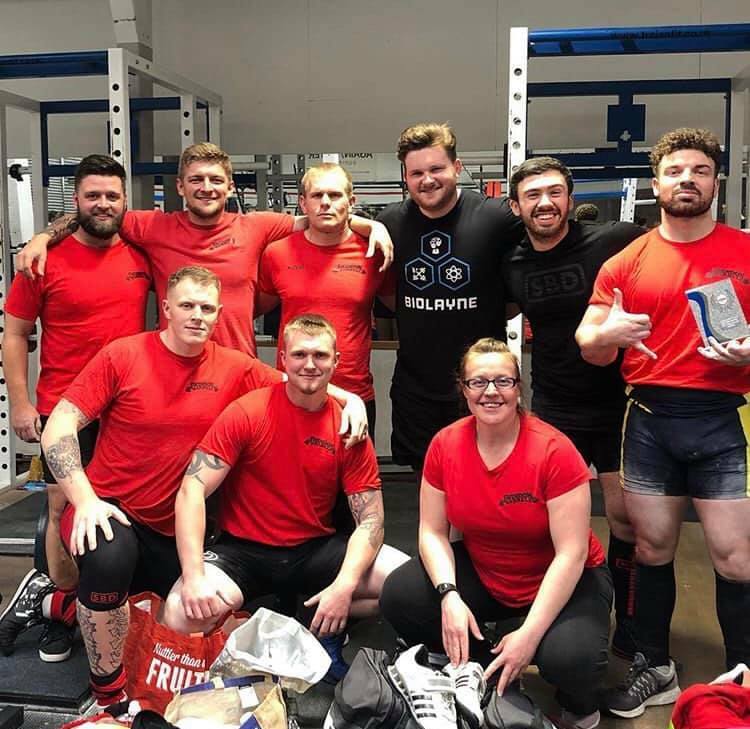 On Saturday 6th and Sunday 7th April Swindon Barbell attended the Southwest Powerlifting Championships with lifters all hoping to increase their personal bests and perhaps claim a qualifying total along the way. Saturday was ladies day for the SBB crew, with 57kg lifter Kat and 63kg lifter Marie taking to the platform after 10 weeks training together in the run up to the comp. Marie weighed in 2kg lighter than she had hoped and was incredibly nervous after the weigh in to get to the first lifts. But all nerves melted away once she came out of her first squat and she went on to claim personal bests in all lifts. 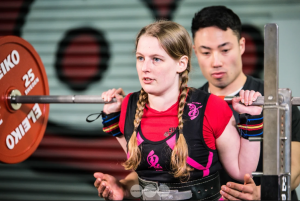 She finished the day with 90kg in the squat, 50kg bench – with 52.5 so close to being pressed – and a 102.5kg deadlift. 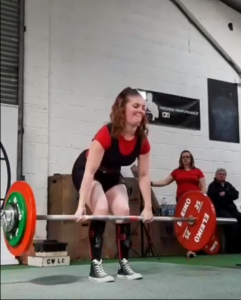 She very nearly claimed a 110kg deadlift, getting the weight up to locked knees but losing her grip at the top. She didn’t let it spoil her day though, coming away feeling proud, not only for herself but for all of the women that she had the opportunity to lift with. It was an added bonus to be able to show people what SBB are about! Kat started the day feeling great, weighing in at 55.8kg which was comfortably inside the category that she had been cutting towards. The squat warm up went well, and after a wise drop in the squat opener from Head Coach Charlie she came out with one bodyweight best and two overall comp personal bests, with 85kg in the squat, 45kg in bench and 95kg deadlift. It was a great lesson in how bodyweight changes the way a lift feels, and also a lesson in listening to her coach! 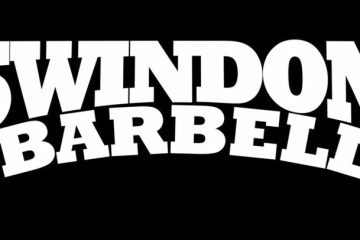 Sunday was all about the Swindon Barbell Boys and what a lineup it was! In the 83kg category was relatively new lifter Paul. Paul came to the club from Gloucester and has made huge strides in his lifting since training with Swindon Barbell. Under the watchful eye of Head Coach Charlie and Chief Motivator Karl he walked away from the day with 172.5kg in the squat, 105kg in the bench and 210kg in the deadlift. 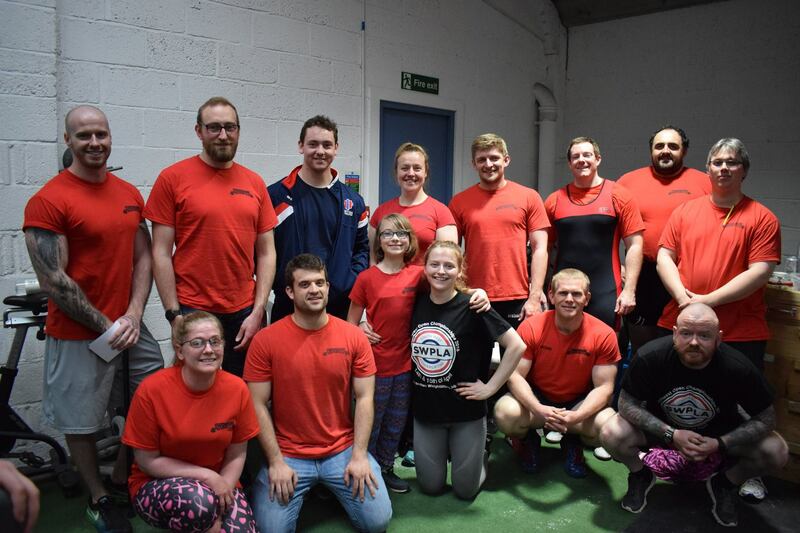 He had a great day with support from the Swindon Barbell crew and has come out with a taste for competitions and a drive to train for the next one. Next up in the 93kg category Joe, Dave and Luke took to the platform. Joe, being a more seasoned competitor, had some ideas about what he wanted from the day and came away with some HUGE personal bests. Weighing in at 92.2kg he finished the day with 180kg squat, a 10kg personal best. 130kg bench, a 5kg personal best and a huge 10kg best in the deadlift with a final lift of 210kg. Coming out of a competition with 9 for 9 lifts was a great experience and he is now keen to get back to training for his next comp in October. Then it was time for the 105kg lifters and they did not disappoint. Rob and Louis were lifting in this category, with Louis taking on his first competition as an equipped lifter. Though he started out a little shaky, over weight in the morning and having to dehydrate to make weight before failing his first two squats! But with a pep talk from Charlie he pulled it back on the third squat with 270kg. He then went on to the bench and pressed out a clean 170kg to take him into the deadlift where he finished out the day with 265kg. For a day that had gone, in his words terribly, he came out very well with second overall in his category and a lot of lessons learned to take forwards to the next comp. Louis has his sights set high, with a goal of qualifying for the British Equipped Championships in 2020 and his eyes on first place at the All England Champs later this year. 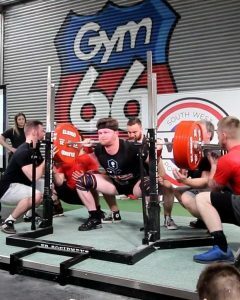 Rob was very nervous going into the day but his training paid off in a big way when he set a Southwest Record in the squat with a huge 275kg for three white lights! 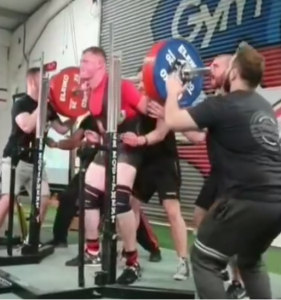 With the confidence from his great squat performance he went on to press 167.5kg in the bench and finish up with a whopping 285kg deadlift with more in the tank. 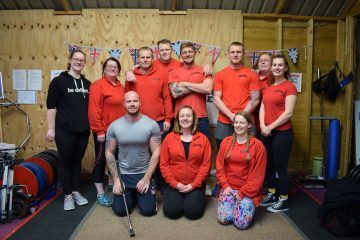 He credits much of the success of the day to the Swindon Barbell team who were with him every step of the way, and now he’s looking onward to the British Champs!